one who actually runs the universe. It's October 9, 1965. Ken Dodd's "Tears" is still at the top of the charts. Post Office Tower, the tallest building built in London in the 1960s, opened yesterday, the biggest visible monument to the cultural capitol that is London. And Doctor Who is doing something unusual - the only single-episode and Doctor-free story of the classic run, Mission to the Unknown. I've talked about the way in which the stories are, right now, building towards something. More than any story under the script editorship of Donald Tosh or John Wiles (who was producer in all but official name of the whole of this season), this episode exists first and foremost in service to that something. One of the things that was settled on quickly after The Chase was that instead of doing two Dalek six-parters on either end of the season, they'd do a massive twelve-part Dalek epic in the third season. However, due to a quirk of accounting stretching back to having to refilm the first episodes of both An Unearthly Child and The Daleks, as well as condensing the last two epsiodes of Planet of Giants into one, it became necessary to produce an extra episode at the end of the recording block that started with The Rescue, and, ideally, to give the entire cast a break at the same time. So a one episode TARDIS-free prelude to the Dalek epic got put on the schedule. That's the lens through which this story is normally approached. And it is, factually speaking, true - tat is why this episode exists. But it has the unfortunate side-effect of turning a very interesting episode of television into a lesson on the intricacies of BBC budgeting in the 1960s. And, I mean, I say this as a ridiculous pedant who actually finds BBC budgeting in the 1960s interesting, but that does a real disservice to the episode. For one thing, it's a flagrant retcon. Nobody watching this story in 1965 was thinking about it in anything like these terms. And nobody making the story was primarily making a historical document to illustrate BBC funding. This is purely an invention of hyper-knowledgeable Doctor Who fans trying to develop a history of the show. While this is usually a wonderful thing - the fact that Doctor Who's production is so well-documented is part of the show's importance, frankly - here it's a bit of an irritation. Part of it is no doubt that, being yet another missing episode, for most fans the received wisdom and history of the story is all we've got - especially because Mission to the Unknown, along with The Daleks Master Plan, were not novelized until 1989, among the absolute last stories to get an adaptation. So prior to 1989, detailed information on this story just wasn't there. But these days we can do better (and to be fair, a number of books including About Time, Running Through Corridors, and The Discontinuity Guide have done so already, and I am simply perched giddily atop their shoulders). The first thing to realize about this story, then, is that it must have been completely mind-blowing to the viewer, who would have settled in and watched in increasing bewilderment as the TARDIS fails to show up. Even in 2011, that's unusual. And in 2011, at least we usually get told in advance what the Doctor-Light episode of a given season is going to be, as opposed to here, where it was a complete surprise. But here, there's nothing that indicates this as a Doctor-free episode. Instead we settle in and assume that we have an establishing shot of the world before the Doctor arrives in it - something that has become a fairly standard category of opener by this point. Except the establishing shot never ends. The tension mounts and mounts, and the audience keeps waiting for when the Doctor is going to arrive and the situation will start looking better, and it never comes. The establishing shot keeps going until the tension ratchets up so far that everyone dies. And the TARDIS never comes. The episode is just a massacre of all of its sympathetic supporting characters at the hands of the Daleks, and there's no Doctor at all. This does a couple of things. First, it pokes a massive hole in the Doctor's mythic heroism. Starting with The Dalek Invasion of Earth, we've been told over and over again that the Doctor is fundamentally a hero who makes everything OK. Now, with a story occupying the exact same slot that Dalek Invasion of Earth episode #2 did - the one that had the Daleks nervously screaming "We are the masters of Earth" in response to their meeting with the Doctor - we get the exact opposite story. One where the Doctor doesn't show up, nothing is OK, and the Daleks exterminate everybody. While it is still true that the Doctor can save the day, this episode is a sobering reminder that sometimes he doesn't show up. The other thing it does is finally put the Daleks from the Dalek Book onto the screen. Not the swooping armies of space Daleks, but at least Daleks that are properly galaxy-conquering terrors. Nation has, it should be noted, put four different sets of Daleks on the screen now - horrible monsters lurking in a ruined city so desperate to survive that they've lost all that made them "human," kind of daft 50s alien invaders, the comedic legion of The Chase, and now the ones from the comics. And one thing that is very clear here is that Nation is more interested in these Daleks not only than the others, but than the Doctor. For the first time since The Daleks, one gets the sense of Nation just writing something he wants to write as opposed to writing for the paycheck. And it's the best writing we've seen from him to date, frankly. The episode is tense and exciting in a way that past stories of his haven't been. But when all 25 minutes are over, what, exactly, is the audience supposed to make of it? It is significant that the story ends not with the slaughter of Marc Cory and his crew, but with the establishing that Marc Cory's warning survived. In other words, although the Doctor didn't show up to resolve the immediate crisis of this episode, there is still another crisis, and the show is still Doctor Who - eventually the Doctor is going to walk into this story. Presumably, next week... But more on that Wednesday. OK. So let's draw a line under that, and take a quick turn to the other thing about this episode - the thing that, actually, makes treating it as nothing more than a prelude to The Daleks' Master Plan really egregious. Daleks' Master Plan is a John Wiles produced story. This is a Verity Lambert produced story - the last of them. And the reason she was off ignoring Galaxy 4 was so she could make sure she went out on a truly spectacular note. Mission accomplished. But more to the point, any list of the ten creative figures with the biggest influence on Doctor Who has to include Verity Lambert in the top three. Basically, it comes down to a decision on how you want to order Patrick Troughton, Russell T. Davies, and Verity Lambert. 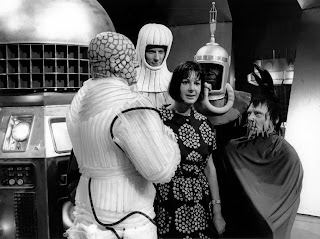 And of them, it's Verity Lambert who has by far the most interesting story. Doctor Who was, on paper, created by Sydney Newman, the incoming head of drama at the BBC. He'd been poached by the BBC to make them more competitive with commercial broadcasting. It would be easy to assume that he was thus a ruthlessly populist figure who went for the lowest common denominator, but he wasn't. He was clearly working with the mandate of figuring out how to do BBC-type stuff and having it be commercially successful - not with changing what the BBC was. And so he developed Doctor Who as an educational program. Which didn't last long, but as we saw in the early episodes, was there. But he also developed Doctor Who to be big, popular entertainment. Which is why one of his first decisions about it was so striking. Because not a lot of people in 1963 would put an inexperienced 28-year-old Jewish girl in charge of a flagship series. Of course, not a lot of 28-year-old Jewish girls were Verity Lambert. By that point in her career, she'd already managed such accomplishments of keeping a live TV show running on camera after the lead actor dropped dead between scenes, keeping order while the proper director scrambled to rewrite the script. She was known by anyone who met her as a force to be reckoned with, and rightly so. And so there was Verity Lambert, in her first TV production job, holding it together as Doctor Who figured out what it was. It was Lambert who told Newman he was wrong not to like Delia Derbyshire's theme music. It was Lambert who managed to talk Newman into being OK with the Daleks, to obvious results. It was, over and over again, Lambert who managed to get temperamental William Hartnell to work well with the crew, and Lambert who made virtually every decision that kept Doctor Who from the unfortunate fate of flaming out early on. By all accounts, Lambert was a wonder - capable of standing up and fighting with anybody who she thought was getting in the way. Most accounts are demure, but the strong impression is that Verity Lambert was someone who could rely on winning an argument if it came down to a screaming match, and so was perfectly willing to let it if need be. On top of that, she had an unfailing eye for what would be popular. She, more than Newman, was responsible for the decisions that made Doctor Who a mass success, drawing it away from the frankly dull didacticism Newman had in mind and towards the weird and wonderful show that produces things like The Dalek Invasion of Earth, The Rescue, The Web Planet, and The Space Museum. And she did it at the age of 28, as a girl, in 1963. She did it so well that after proving Newman wrong on both the theme music and the Daleks (and having the guts to tell her boss to sod off, she knew what she was doing), Newman stepped back and let her run the show, basically ending his direct involvement until he stepped in and helped rescue the transition to Patrick Troughton. 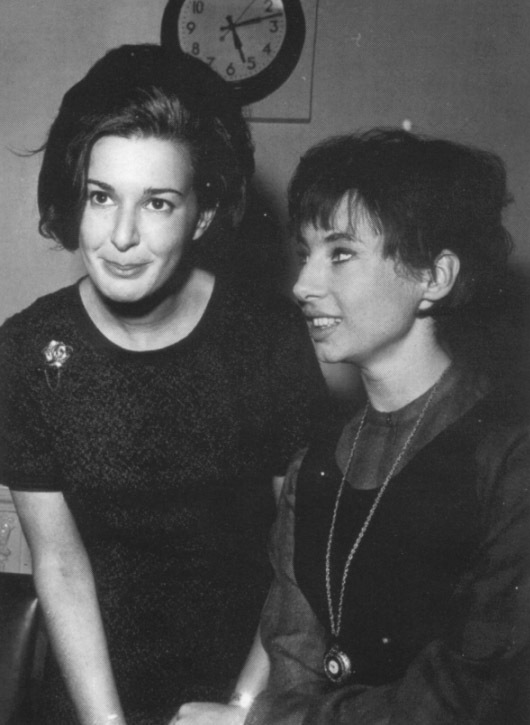 Needless to say, especially given that Lambert was, to be blunt, absolutely gorgeous (have a look at this photo of her and Carole Anne Ford. No disrespect to Ford, but it's very obvious which one of them is the leading lady and ingenue who would be called An Unearthly Child, and which one is a behind the scenes producer. Very obvious, and completely wrong), the rumors were that she slept her way to the top. She didn't. She worked, fought, and occasionally knifed her way to the top, going head to head with everyone who disagreed with her and getting her way, which was unerringly right. Frankly, you can look at the list of contributors on the first two seasons of Doctor Who, and there is nobody who it's completely impossible to imagine the show working without. Even the Daleks, being an equal product of Terry Nation and Raymond Cusick, don't have a single name that you can point to and say "That's why the Daleks made it on screen and worked." Nobody in the production is clearly and unequivocally essential to the show working. So screw the foreshadowing, screw the epic plot Mission to the Unknown sets in motion, screw the mythic significance of the Doctor as an ontological heroic force in his own unceasing narrative. Screw it all. You want to know what Mission to the Unknown is about? It's about saying goodbye to one of the greatest women who ever lived. Verity Lambert died in 2007 at the age of 71. She lived long enough to see the show she started her career on impossibly come back from the dead. There's a gorgeous interview with her and Russell T. Davies from 2006, where her love for the show in its current form is as clear as Russell T. Davies's massive admiration for her. And reading it, knowing her history, knowing what she managed to do, it's impossible to read it and not tear up at it. Years later, in the Time Crash mini-episode, there's a beautiful moment where David Tennant, only half in-character, tells Peter Davison how influential his playing of the Doctor was on Tennant. And he ends with the wonderful line that "you were my Doctor." In the interview, Russell T. Davies doesn't say it in as many words. But he means it. Verity Lambert was his producer. So let's give him the last word. Indeed she did. Thanks for everything, Ms Lambert!